How i first saw it... It's meant to be a drawing of washing hands.My 7yo drew it last year at school. Description: How i first saw it... 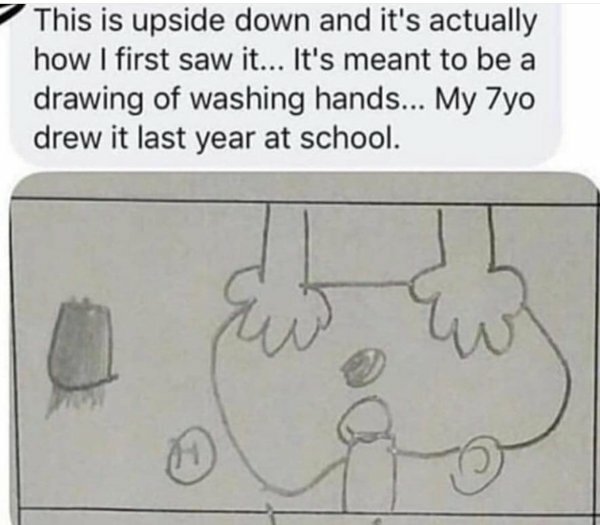 It's meant to be a drawing of washing hands.My 7yo drew it last year at school.